Doing some last-minute Christmas shopping? 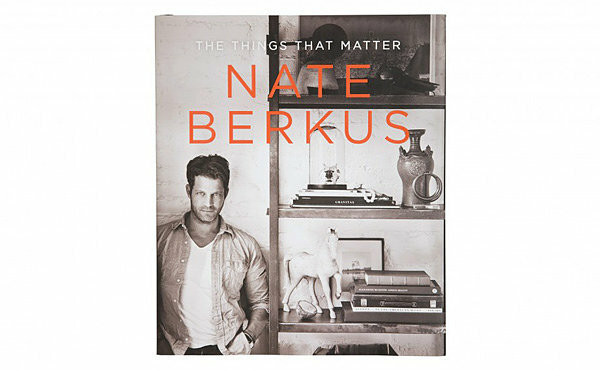 Today we present 20 gift ideas for the design lovers in your life. 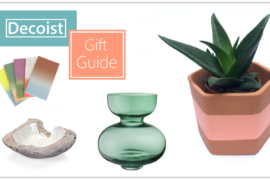 Purchasing decorative items for others can be a daunting task, especially if the giftees are picky when it comes to their interiors! That’s why we’ve chosen many items that are functional as well as decorative. 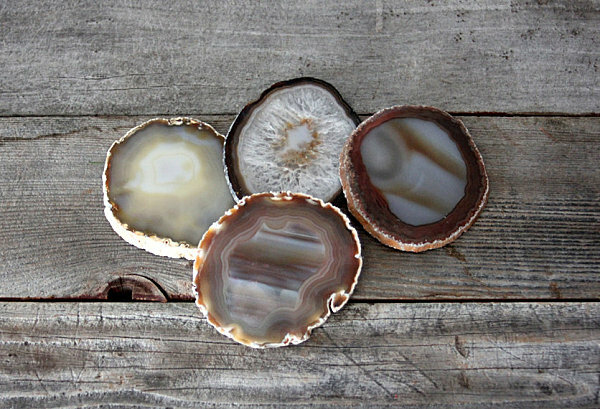 After all, who can argue with the utility of beautiful agate coasters? Not to mention, we’ve selected gifts that celebrate a love of design, such as books that delve into decorating techniques or showcase amazing interiors. 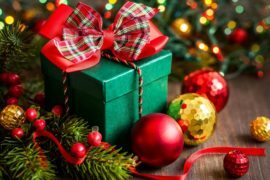 While every effort was made to spotlight items that could arrive by Christmas if purchased online, many of the gift ideas below may have similar counterparts that you can buy at a store near you. Let these pretty presents spark the imagination and give you the second wind you need to finish that holiday shopping once and for all! 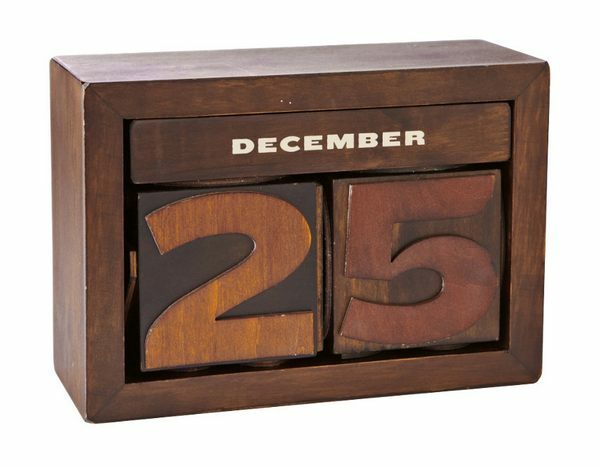 We start with a set of gifts that put a utilitarian spin on home decor. 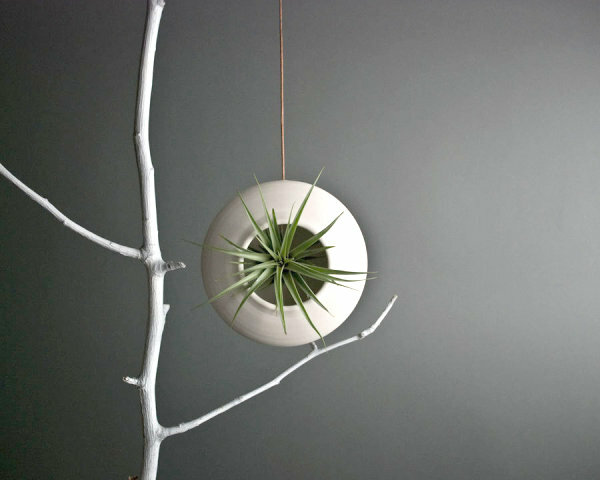 This Round Hanging Air Planter from Etsy shop Ingleside Pottery is crafted of porcelain and shipped with one Tillandsia “air plant” (if you order from within the US)! 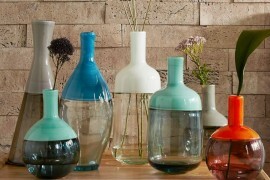 A matte sheen and stunning round form are other highlights. The planter hangs from a leather cord, which can be removed if you wish to run the container through the dishwasher. Give your loved one a porcelain cup that can hold a warm winter drink! 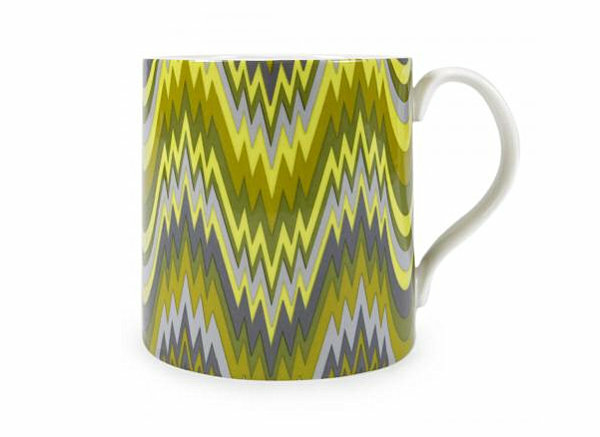 Jonathan Adler’s carnaby acid palm mug features a chevron ikat pattern in green and gray. Or better yet, give a set of four! 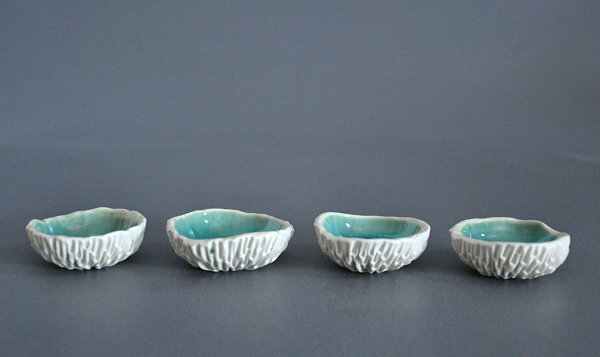 This Set of 4 Tiny Cerulean Blue Geode Bowls from Etsy shop Element Clay Studio is ideal for holding salt, pepper or spices during cooking or dining endeavors. The porcelain exteriors of each bowl are left unfinished while the interiors are coated in cerulean glaze. 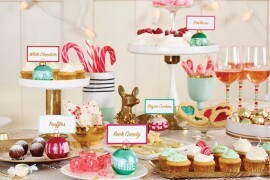 This unique gift set is functional and display-worthy! Another gift of multiple treats is this Set of Natural Toned Agate Coasters from Etsy shop Heritage 1956. Not only do these coasters help protect your furniture from water stains, you can put them on display to enjoy when they’re not in use! These natural wonders are roughly 4-5 inches long, perfect for resting under glasses or stacking for an earthy, stylish effect. 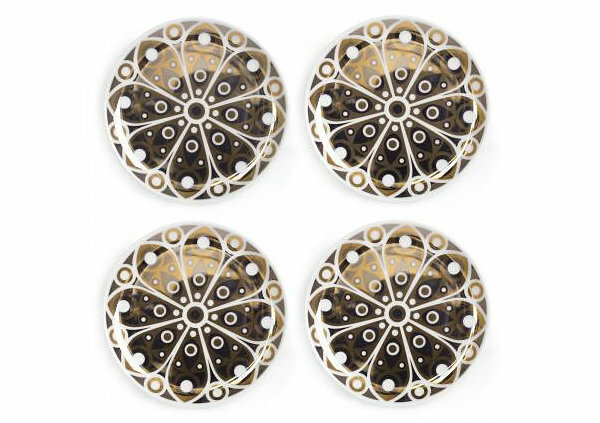 For a glitzy take on coaster design, check out Jonathan Adler’s shiny peacock coasters. Made of porcelain and embellished with real gold accents, these designer items come in a set of 4. 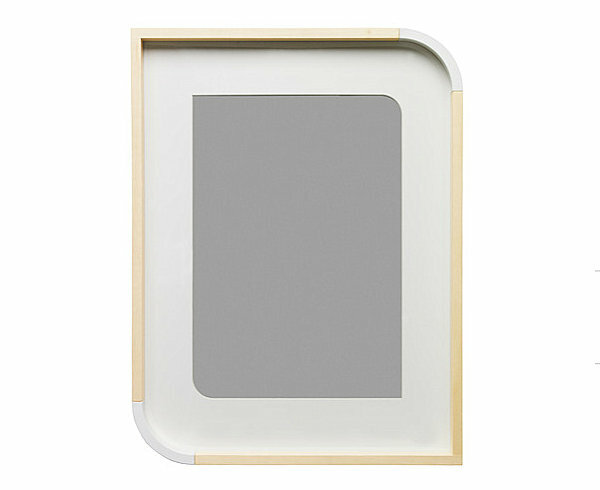 If there is an IKEA near you, get there fast so you can pick up a DEGERÖN frame! A wonderful retro shape and two-tone finish will tempt you, as will the frame’s size, which can accompany an 8 x 10 photo if used with the mat. Fill it with a meaningful picture that your loved one will appreciate. Sadly, the item cannot be purchased online, but it was too fabulous to leave off today’s list! 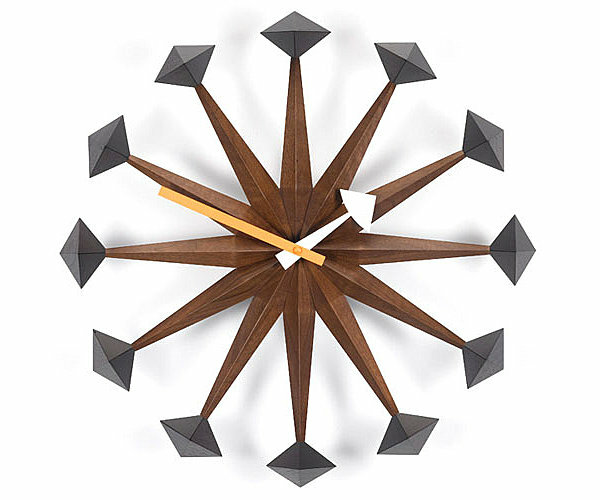 If you’re a big spender and you’re shopping for someone who is a fan of iconic design, perhaps the Vitra Polygon Modern Clock by George Nelson will do the trick. This stained walnut showpiece is available through Stardust Modern. 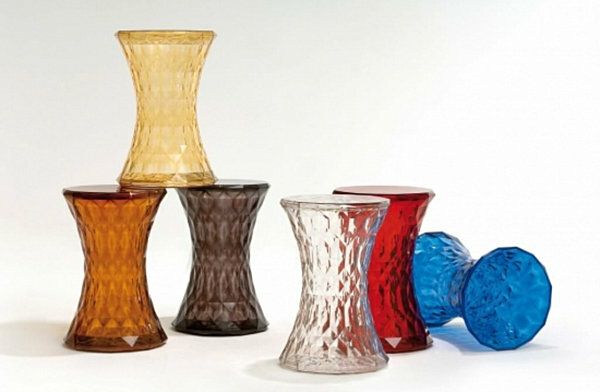 For a design gift that makes a true statement, check out these Kartell Stone Stools from Design Public (designed by Marcel Wanders). These geometrically faceted items are made of polycarbonate, and they can be used either as side tables or as extra seating. Love the hourglass shape! 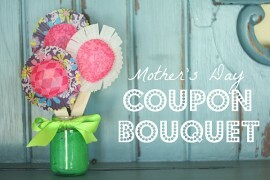 Why not go with a gift that casts a yummy scent over the room it inhabits?! 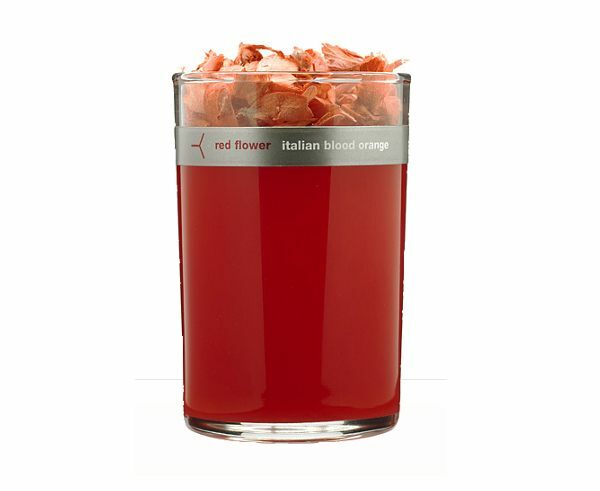 Like the Red Flower Italian Blood Orange Candle from Barney’s New York. Eye-catching and unique, this fragrant item adds a blast of color to a table or shelf-top. 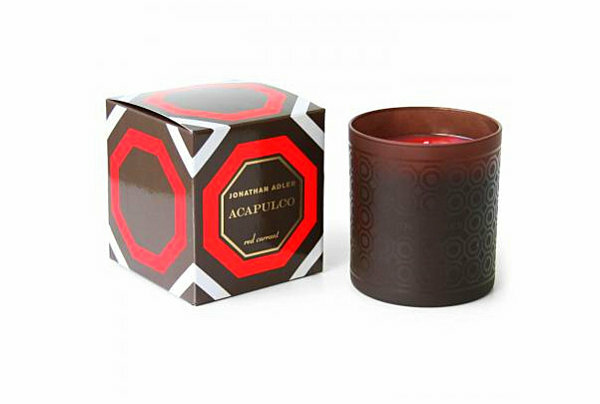 Jonathan Adler’s Acapulco candle is beautifully presented in a crisp box decorated with a geometric design in seasonal colors. 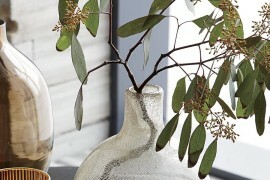 Etched brown glass ensures that once unpacked, this fragrant gift is worthy of the most design-conscious interiors! 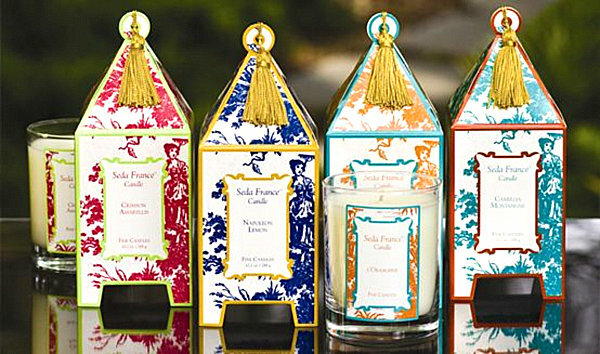 Plus, when lit, the candle emits the tropical scents of pineapple, orange, red currant, fresh rose, juicy apple, blackcurrant leaves, strawberry, musk, and blonde woods. A perfect escape from the winter cold! As long as you’re stopping by IKEA for the picture frame featured above, pick up an EIVOR throw in black and white. 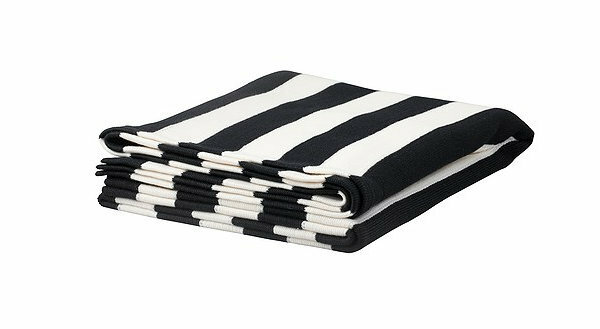 Not only are black and white stripes truly classic, this blanket is the perfect way to stay warm for the rest of the winter! 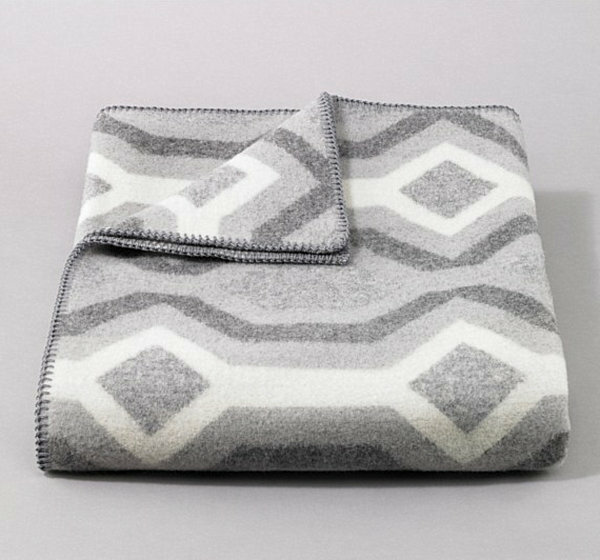 Give the ultimate in comfort and style with this Pendleton Blanket in a Chelsea Stripe Dove Pattern from Dwell Studio. The wool blanket’s neutral tones make it suitable for a range of color palettes. Plus, it can be draped over a sofa, or placed on the bed for an extra layer of warmth. Love the geometric pattern! Or send a colorful, textured blanket in the form of the Spreading Landscape Throw from Anthropologie. Wool, acrylic and nylon combine in this lime-yellow cuddly creation. 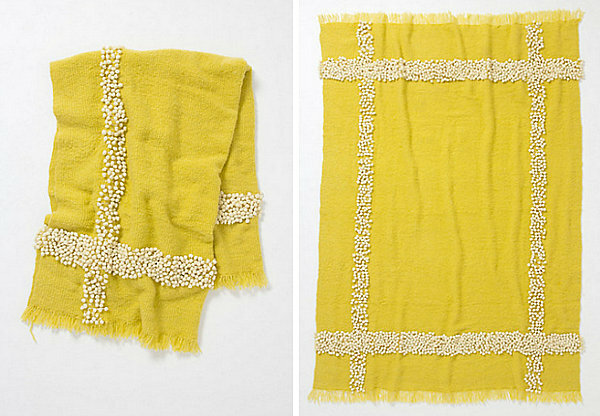 Strategically placed pom poms form the throw’s signature pattern! 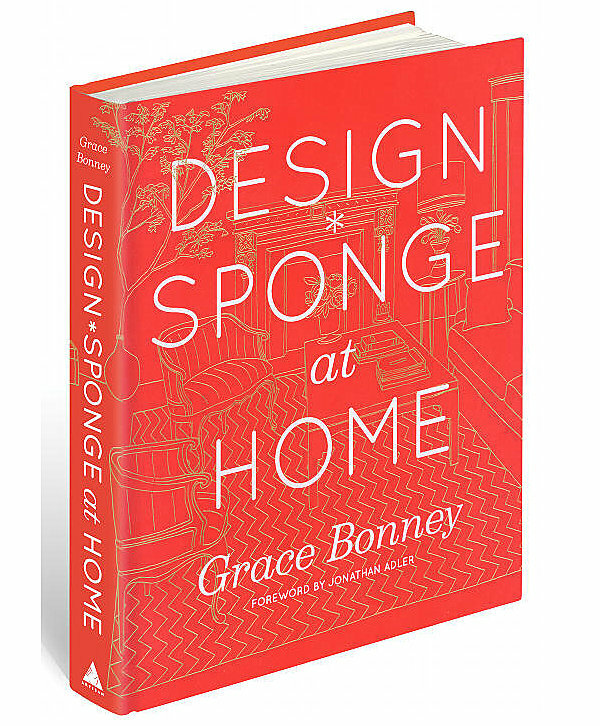 Another fabulous design book for the decor enthusiast is Design*Sponge at Home, based on the popular blog. Not only does this “design manual” include amazing decor ideas, it features a slew of DIY projects (and even a section on floral arrangements). The book can be purchased through Amazon.com. 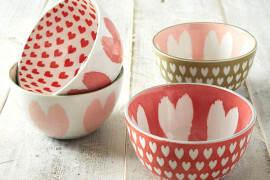 We end with a set of gifts that are practical as well as stylish. 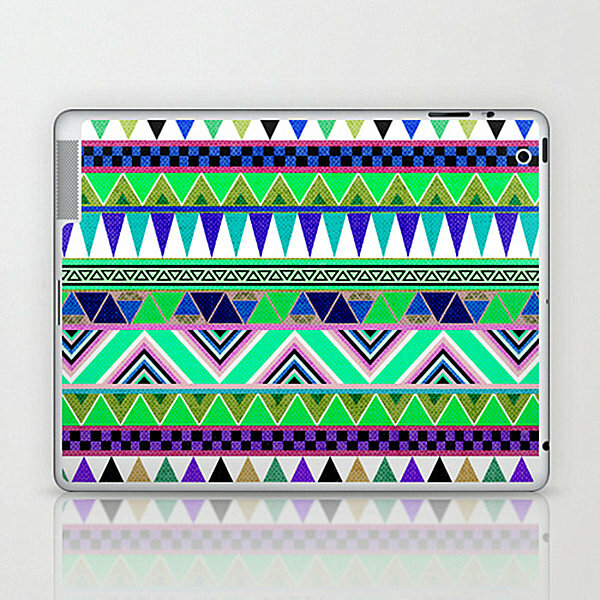 Fans of the current tribal revival will appreciate the Overdose laptop and iPad skin from artist Bianca Green, available through Society 6. Triangles, checks and lines combine in rows of colorful geometry. Technology is a fixture in our homes. 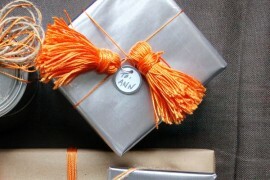 Why not make it a work of art for the giftees of your choice? 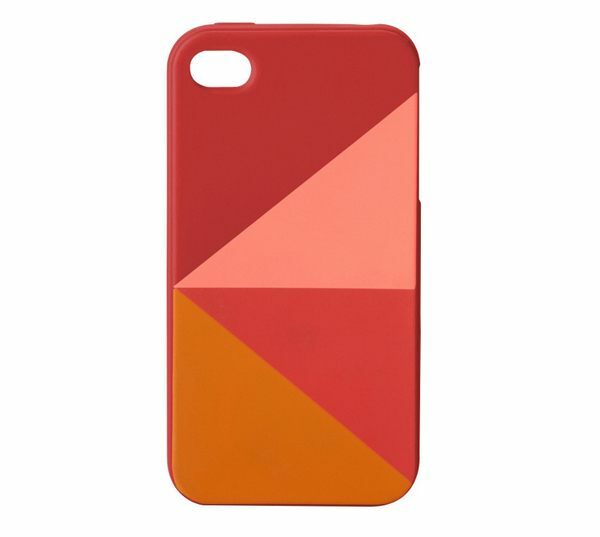 The Key-Per iPhone Case from Fossil is both practical and colorful! A bold design in festive shades decorates this gift, which will ultimately embellish and protect the phone of your loved one…. This Letterpress Calendar from Fossil usefully marks the date, yet it gets the job done in style. Wooden and sturdy, this piece has vintage flair. Can you imagine it on top of an office desk? We can! 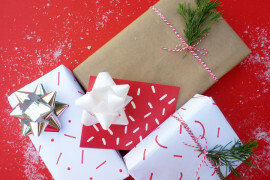 As mentioned, most of these gifts can be ordered online. Check the shipping fees, as many online retailers offer special deals when more than one item is ordered. After all, who can resist perks like free shipping? Happy shopping!